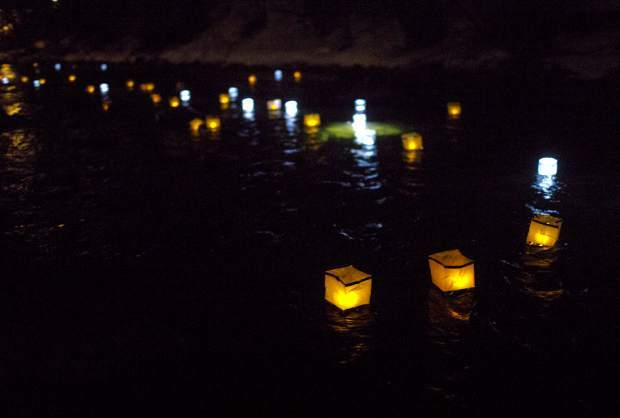 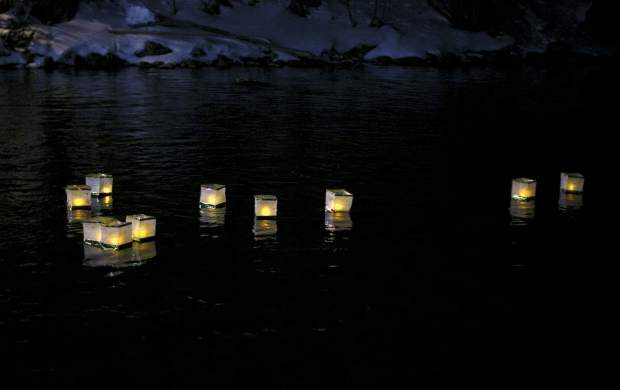 Lanterns float down the Blue River as part of the Noche De Candela during First Friday, Feb. 1, in Silverthorne. 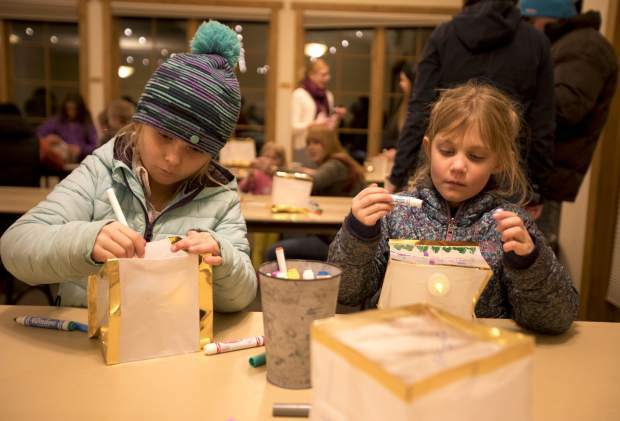 Teresa Cerny, 6, and Kate Munchoff, 6, decorate the lanterns during the First Friday celebrating the latino community, Feb. 1, at the Silverthorne Pavilion. 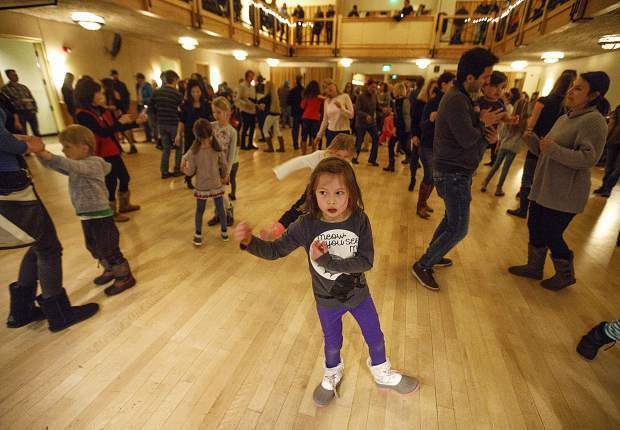 A girl dances along with the salsa lessons led by Remezcla band during the First Friday celebrating the latino community, Feb. 1, at the Silverthorne Pavilion. Salsa Band Remezcla's Magally Luna plays with a Guira during the First Friday celebrating the latino community, Feb. 1, at the Silverthorne Pavilion. 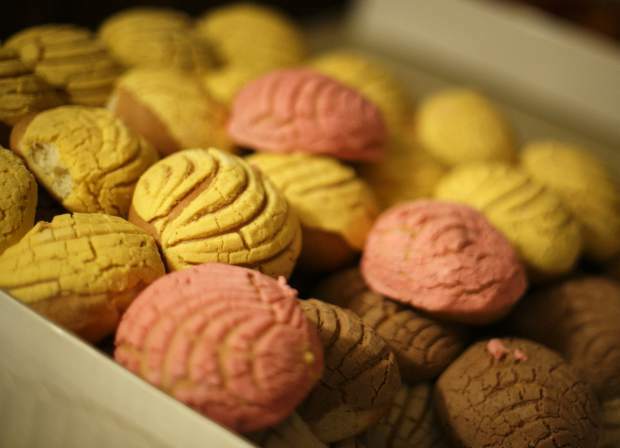 Fresh conchas, a Mexican sweet bread, made available to First Friday attendants Friday, Feb. 1, at the Silverthorne Pavilion. 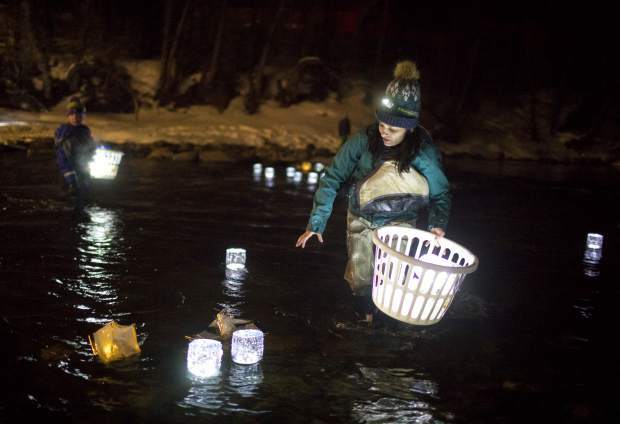 Volunteer Amy Lyndon picks up the lanterns in the Blue River following the Noche De Candela during First Friday, Feb. 1, in Silverthorne. 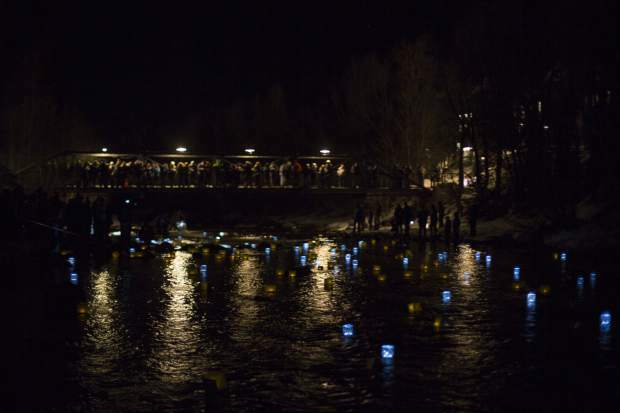 On Friday night, lanterns floated calmly down the Blue River in front of a packed footbridge of residents and visitors near the Silverthorne Pavilion in part of Noche De Candela. 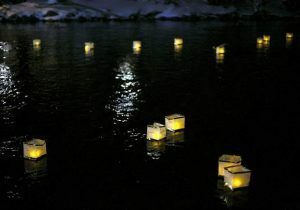 Minutes before, the lanterns were decorated by the local families while there was salsa dancing led by live music from Salsa Band Remezcla. 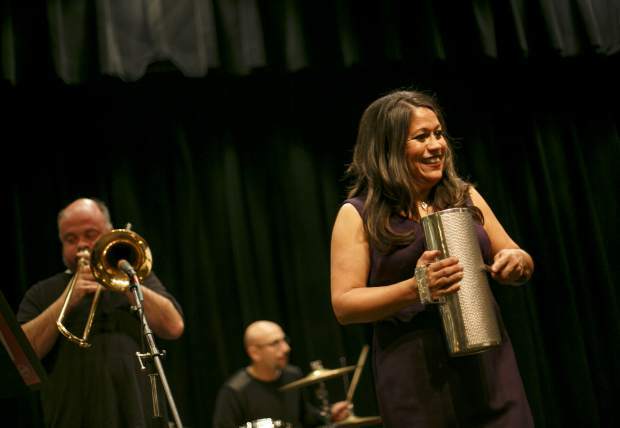 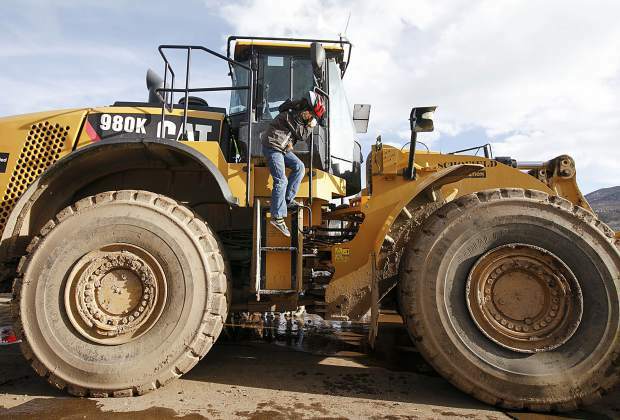 This First Friday celebrated the Latino community’s cultural influence on the town.